Or, that’s what they are most likely doing, as both Sanya Serenity Coast and Unicef, who were sitting in second and third place yesterday, have opted to go into Stealth Mode for 48 hours. IMAGE: HotelPlanner.com, Sanya Serenity Coast and Unicef all in Stealth Mode. Explaining her team’s decision to go off the grid for 48 hours, Sanya Serenity Coast Skipper Wendy Tuck says: “The race to the Emerald City is on. Qingdao, Unicef and us are all within cooee of each other. This is amazing after so many days and miles covered - with an uncertain forecast anything can happen. 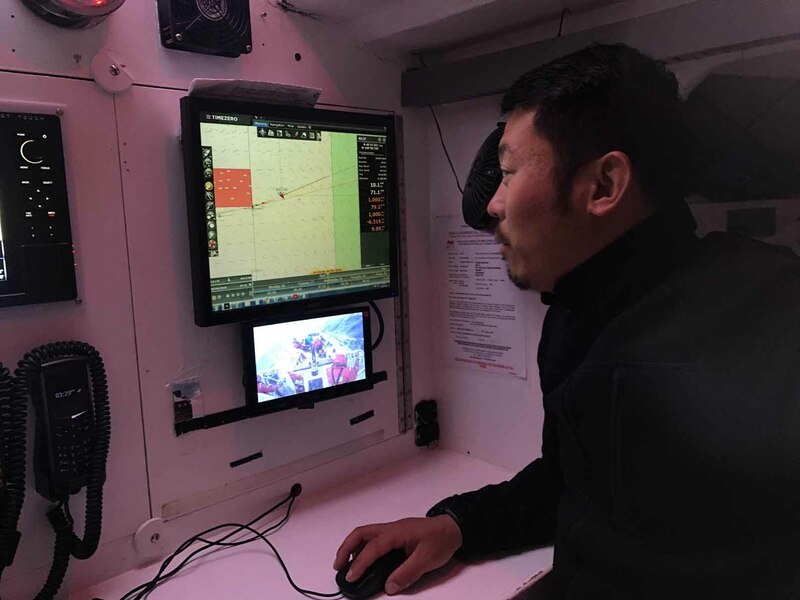 IMAGE: Qingdao Ambassador Bobby Zhang in the Nav Station. 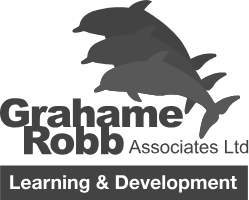 IMAGE: Graham Hill on HotelPlanner.com. The back-half of the fleet remains spread out. Visit Seattle, which also successfully repaired its mast track yesterday, allowing the team to fly the main for the first time in three days, is trying to stay clear of the incoming high, as is Nasdaq, whose Skipper Rob Graham comments: “The high to our south is catching us faster than we can sail away from it, meaning that the wind is slowly decreasing and we're having to point further and further from our ideal course in order to keep moving. Whilst the boats to the west will not see any dramatic wind increase, the incoming low is due to bring steadily building south-southwest to south-westerlies of 30-40 knots, with occasional 50 knot gusts, ahead of the next front. To follow the fleet’s progress to the Elliot Brown Ocean Sprint and for the rest of the race to Seattle, keep an eye on the Clipper Race Viewer. 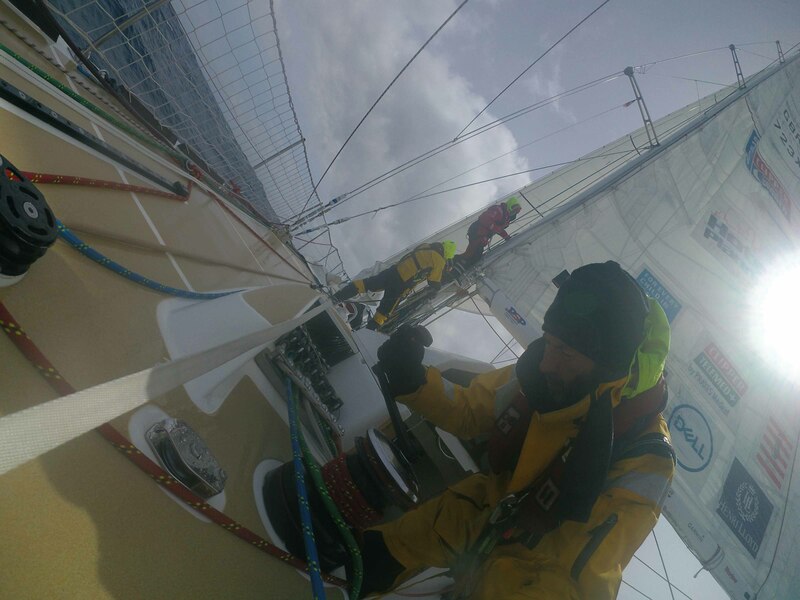 You can also read the Skipper Blogs in full in the Team Pages section of the website or find out the latest from the crew in the Crew Diaries.